This one is a beautiful early telephone. Discounted due to minor repairs. 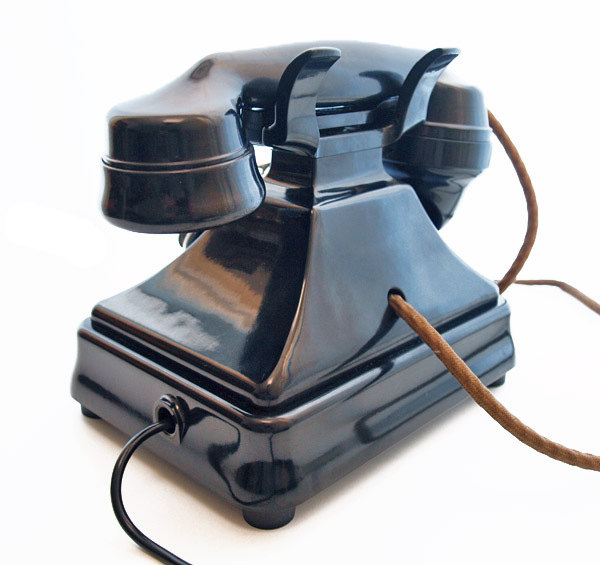 This is fabulous early Bakelite Siemens telephone. This one had an internal buzzer and a and a CB plate with a button for internal use. To enable it to be used on the modern system I have fitted proper GPO double gong bell inside and used the wiring from a GPO 232. The components removed showed it was dated 1933. 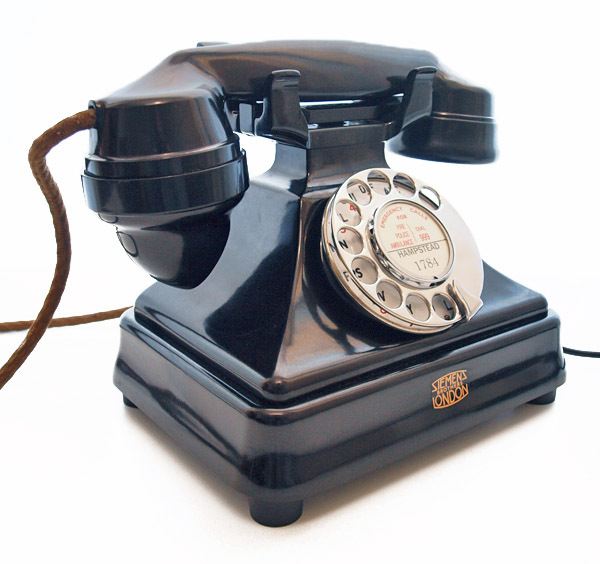 As you can see this is a wonderful telephone and is now like new. it has been fitted with a period GPO No 10 dial with a perfect enamel alpha numeric face. I found a small crack to the rear corner of the body which I have stabilised cleaned and polished. Also the bell set had some very good repairs which were quite minor. I have re-done them and I can assure you that you wont see them unless I pointed them out and you looked very closely. These are just to two corners and were only about one multimeter deep. 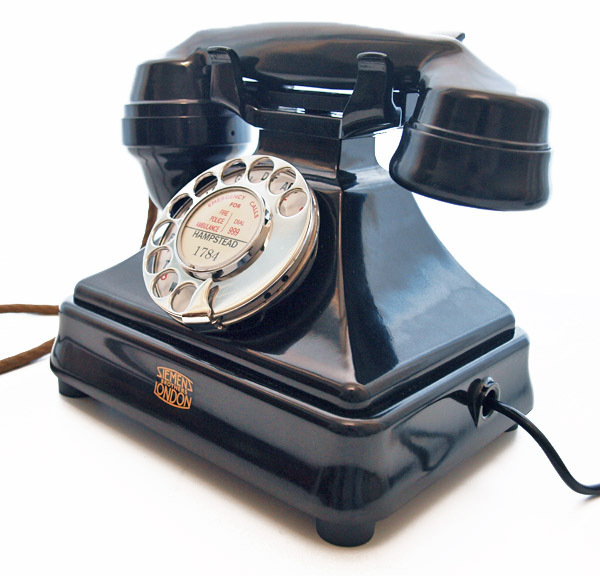 This telephone has been totally stripped down and re-built after each part has been cleaned and polished. It will work perfectly to dial out and receive perfectly. 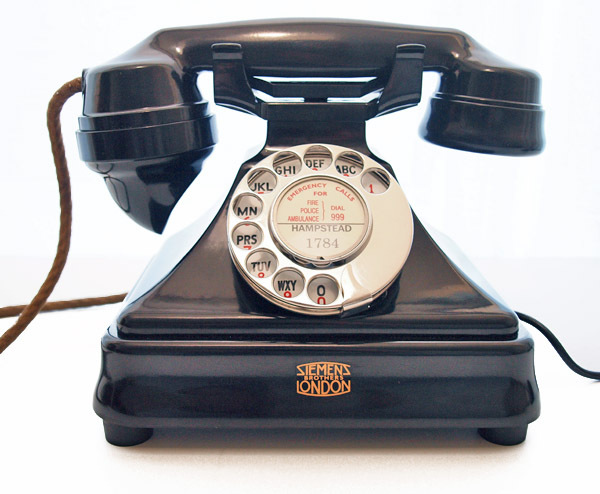 Note the original Siemens handset cord. I can make a dial label with your information at no extra charge.